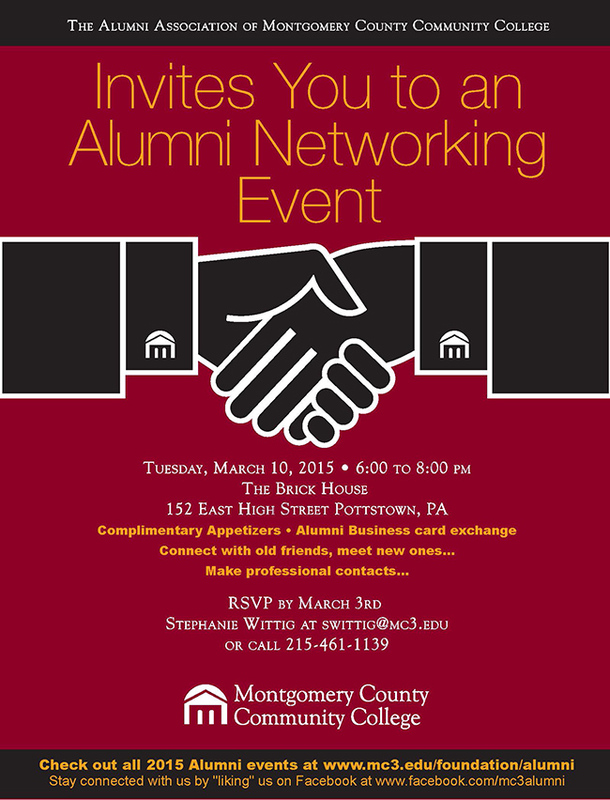 Montgomery County Community College Alumni Association is hosting an Alumni Networking Event on Tuesday, March 10, 6-8 p.m., at The Brick House, 152 E. High St., Pottstown. All alumni are invited to come and enjoy complimentary appetizers, participate in a business card exchange and connect with friends and classmates to share memories. This is a great networking opportunity to meet new friends and make professional contacts. To attend, RSVP by March 3 by contacting Director of Alumni Relations and Special Programs Stephanie Wittig at swittig@mc3.edu or 215-461-1139. 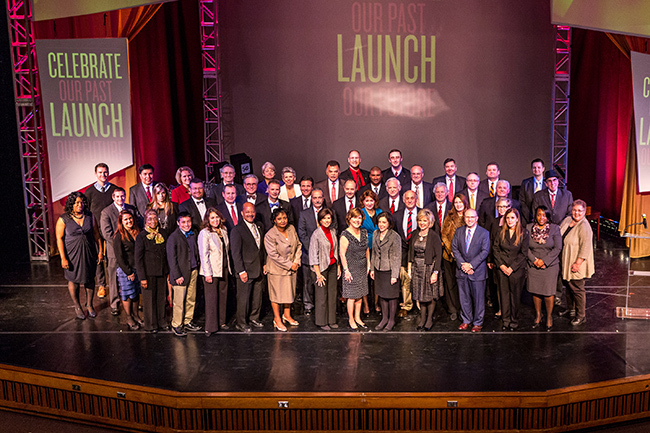 MCCC’s Alumni Association is a community of more than 55,000 alumni, who are making a difference throughout Montgomery County and beyond. The Alumni Association hosts events throughout the year to keep alumni connected, including bus day trips. The next alumni bus trip is Friday, May 8, 2015, to Pennsylvania’s Susquehanna Valley for a chocolate and wine tour. For more information about the bus trip and other MCCC alumni events, visit mc3.edu/foundation/alumni, friend us on Facebook at facebook.com/mc3.alumni, and follow us at mc3Alumni on Instagram. 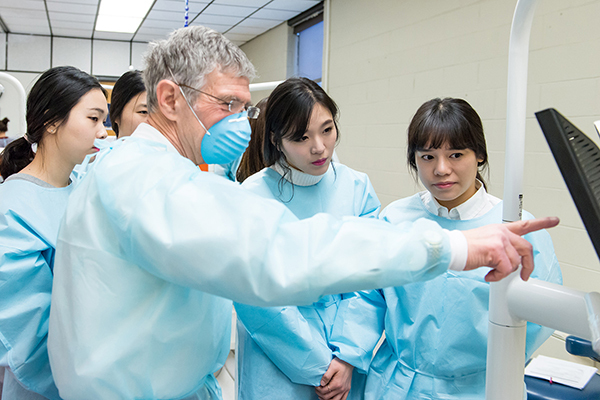 Twelve students and one instructor from Daejeon Health Sciences College in Daejeon, South Korea toured and observed procedures in Montgomery County Community College’s Dental Hygiene Clinic on Feb. 2 as part of a three-day visit to the Philadelphia region. The group has been New York City since Jan. 16 as part of a study abroad experience coordinated by Manhattan dentist Dr. Paul Sui, through which the students are experiencing dentistry and dental hygiene education as they are practiced in the United States. The group has spent time at Columbia University, New York University, and at several private dental practices. Montgomery County Community College alumna Lillian Caperila, who is a manager and international presenter of professional continuing education for Premier Dental Products Co. in Plymouth Meeting, arranged the three-day Philadelphia trip, which had the students visiting University of Pennsylvania, Montgomery and Premier’s manufacturing facility, along with some sight seeing. 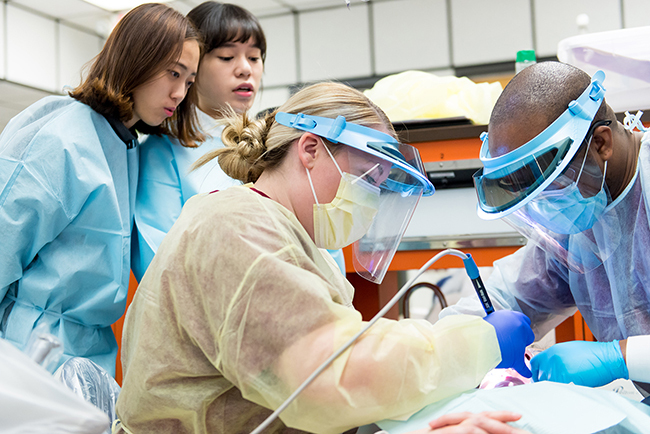 “Daejeon Health Sciences College uses dental instruments that are manufactured right here in Philadelphia, so the students got to see how the instruments they use every day are made,” Caperila explained. At the College, the Daejeon students observed Montgomery students and faculty treat patients in the Dental Hygiene Clinic, located at the Central Campus in Blue Bell. Through formal and informal discussions, including a pizza lunch, both groups of students were able to about each other’s education and culture. 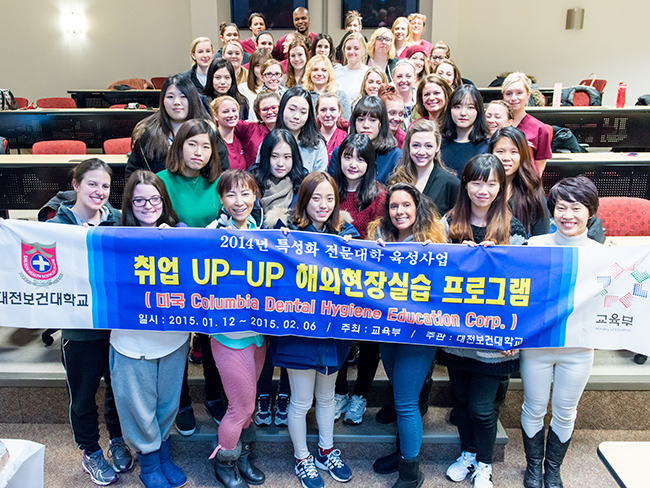 The Daejeon students also toured the campus and met with Provost Dr. Vicki Bastecki-Perez and Dental Hygiene Program Director Jenny Sheaffer. 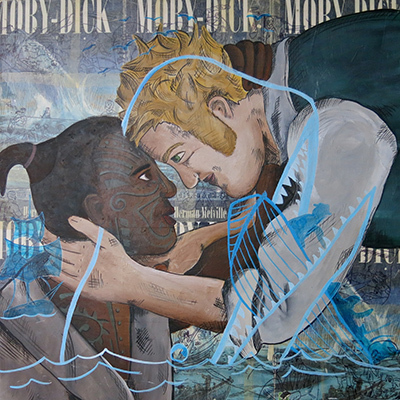 Image by Jasmine Alleger, “Ishmael & Queequeg,” mixed media. This collaborative exhibit opens Oct. 13 and will be on display through Nov. 7 at the College’s Fine Arts Center Gallery, 340 DeKalb Pike, Blue Bell. A “Meet the Artists” reception will be held Wednesday, Oct. 22, from 5-7 p.m. Both the exhibit and the reception are free and open to the public—everyone is welcome. The exhibit will feature a wide-spectrum of contemporary artwork in various mediums created by Moore graduate students Melinda Houvig, Aimee Gonthier, Chello Sherman, Alexander Conner and Denise Nelson, and Moore Graduate Studies MFA alumni Dawn Kramlich, Caitlin Peck, Ben Panter and Jasmine Alleger. Selected MCCC fine art students Collin Cousart, Joseph Schiaffino and Rachael Hoffman were paired with Moore graduate students, and their collaborative works also will be on display. “The theme of the show was developed to give participating artists an ambiguous starting point from which they could develop and explore relationships for them, as well as the world, and the different aspects of collaborative relationships,” said exhibit curator Melinda Houvig, a second-year graduate student attending Moore for her master’s degree in Fine Art, Studio Practice. “Some artists have chosen to examine mutually beneficial relationships, while others examined parasitic relationships, which also are forms of symbiosis. It’s going to be a very eclectic show, and I’m truly excited,” Houvig said. Houvig has a bachelor’s degree in Fine Art from West Chester University and has worked as a professional fine art model for colleges and non-profit art centers throughout the Main Line area. “I hope the exhibit will broaden students’ perspectives and the community’s perception of graduate work in the art world. It’s multidimensional, research-rich, passion driven and open to so many avenues of experimentation. 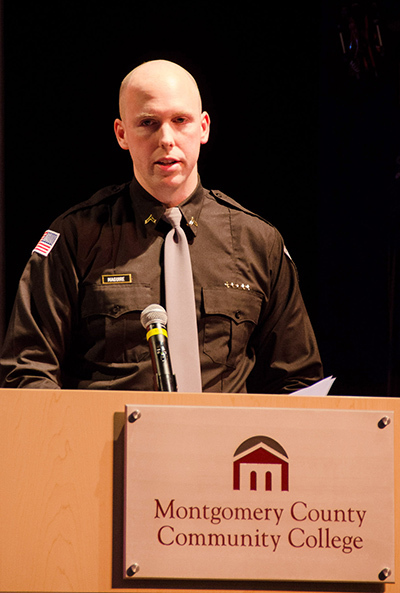 The BFA is no longer the stopping point of an art degree,” Houvig said. Montgomery County Community College has a program-to-program transfer agreement with Moore College of Art & Design that allows students to seamlessly transfer and earn their baccalaureate degrees. Moore’s graduate studies community consists of unique programs in Art & Social Engagement (launching 2015), Community Practice (launching 2015), Studio Art, Interior Design, and Art Education, with an emphasis in special populations that prepare students with the skills, knowledge and resources to become professional artists, designers and teachers. For more information about Montgomery’s art programs, visit mc3.edu/academics/areas-of-study/ah/art. For more information about Moore College of Art & Design, visit moore.edu. Gallery hours are Monday-Thursday, 8 a.m.-9:30 p.m., Friday, 8:30 a.m.-4:30 p.m. and Saturday, 9 a.m.-5 p.m. Closed Sunday. For more information about the exhibition, contact Galleries Director Holly Cairns at hcairns@mc3.edu or 215-619-7349. For the more information about upcoming exhibits and activities, like our Facebook page at facebook.com/DestinationArts, and visit our website at mc3.edu/arts/fine-arts. Help support the arts and art education programs at Montgomery County Community College by becoming a Friend of the Galleries. Donations are tax deductible. For more information, contact the College Foundation at 215-641-6535. 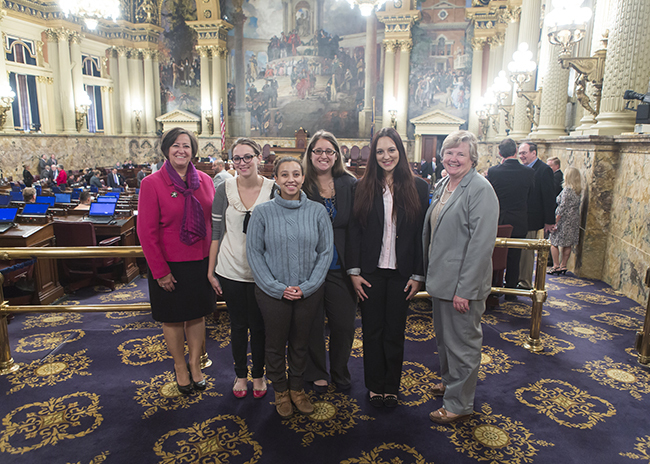 As part of a new pilot program, four Montgomery County Community College female students recently spent a day with women members of the Pennsylvania House of Representatives in Harrisburg to explore careers in public service. Last spring, the College hosted a legislative panel discussion, which was facilitated by Dr. Karen Stout, President, and featured Pennsylvania Representatives Madeline Dean, Kate Harper and Marcy Toepel, who shared their experiences as female members of the state Legislature. As a result of the discussion, the idea of a Legislator Shadowing Program was developed with a focus on introducing female students to career options in government. Nationwide, only 1,784 women, or approximately 24.2 percent, serve in 50 state legislatures in 2014, according to data reported on the National Conference of State Legislatures’ website. 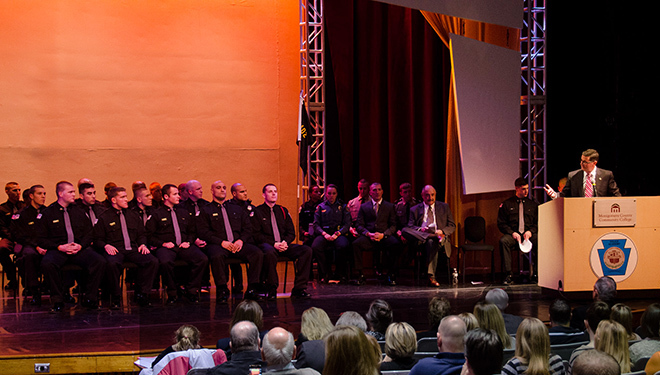 In Pennsylvania, there are 45 women, or about 17.8 percent, who serve in the legislature. For the Legislator Shadowing Pilot, students Danielle Leonhardt and Gabrielle Scotti, both of Lansdale, Lavinia Soliman of Harleysville and Elizabeth Waddell of West Conshohocken, met with host Representative Marcy Toepel and Representatives Kate Harper, and Mary Jo Daley to learn about their careers, achievements, and experience. During a roundtable discussion, the students also met with lobbyist Ashley DeMauro, Public Relations Coordinator Abbey Fosnot, Deputy Director Tricia Harris of the Governor’s Office of Public Liaison and Director of Special Events Kelly Fedeli of the Speakers Office, among others. Montgomery County Community College alumnus, Rep. Mike Vereb, who provided the conference room space for the discussions as well as lunch, also spoke to the students. In addition to the discussion, students attended Rep. Harper’s Local Government Committee meeting, observed House and Senate sessions and received a behind-the-scenes tour. 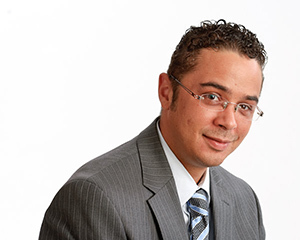 The new Legislator Shadowing Pilot is an extension of the Legislator in Residence Program that was started in 2012 by Executive Director of Government Relations and Special Projects Peggy Lee-Clark and Assistant Professor of Political Science Jodi Empol-Schwartz. 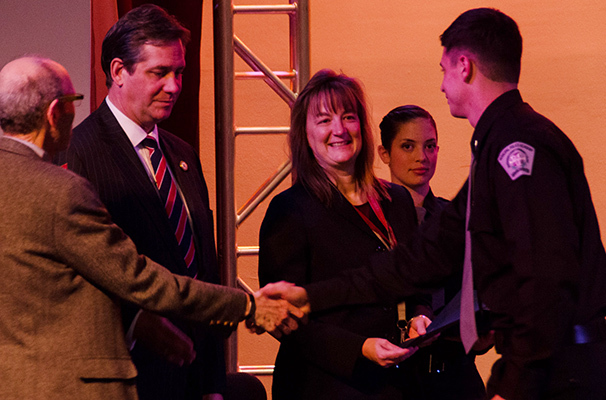 For the Legislator in Residence program, members of the Montgomery County State Legislative Delegation and their staffs are invited into Empol-Schwartz’s American National Government and American State and Local Government classes during each semester to provide a firsthand perspective of the concepts students read in their textbooks, as well as their personal experiences. Prior to the guest lectures, students are required to research the background and positions of each legislator and develop questions for discussion. The program has prompted a number of students to seek internships in legislative offices, one of whom was later hired as staff. The program was expanded this fall to include new topics, and state legislators have been added to an Introduction to Economics class taught by Assistant Professor of Economics Jill Beccaris-Pescatore. The Legislator Shadowing Program will be an ongoing opportunity for students to personally witness and better understand our state’s legislative process and the leadership roles of public servants. 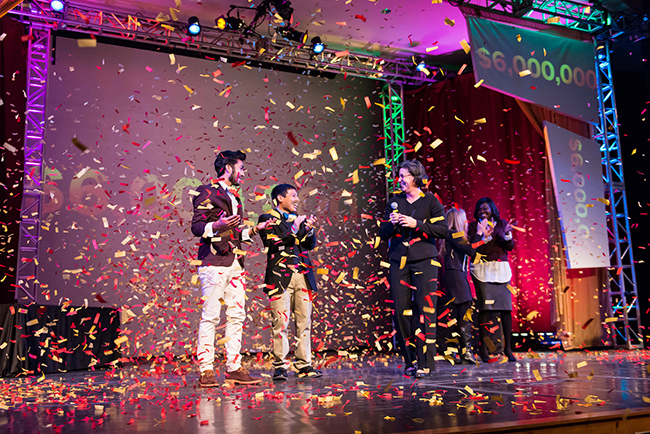 Students are required to submit an application with a brief essay about why they want to attend and how the experience could benefit their future education and career goals. Registration is going on now for Montgomery County Community College’s 20th Annual Technology and Learning Conference, scheduled for Friday, Oct. 24 from 8 a.m.-3 p.m. at the College’s Central Campus, 340 DeKalb Pike, in Blue Bell, Pa. The cost of attending the conference is $25 and includes all conference materials, parking, continental breakfast and lunch. For registration information, including step-by-step directions to guide you through the registration process, visit mc3.edu/campus-life/techconf. MCCC faculty and staff can attend free of charge by registering via the College’s portal. The College’s Technology and Learning Conference provides a forum for participants to share state-of-the-art information technologies, to contribute to a vision of the future of information technology in the academic enterprise, and to exchange ideas and best practices for incorporating technology, security and learning. To learn more, visit mc3.edu/campus-life/techconf or email techday@mc3.edu.